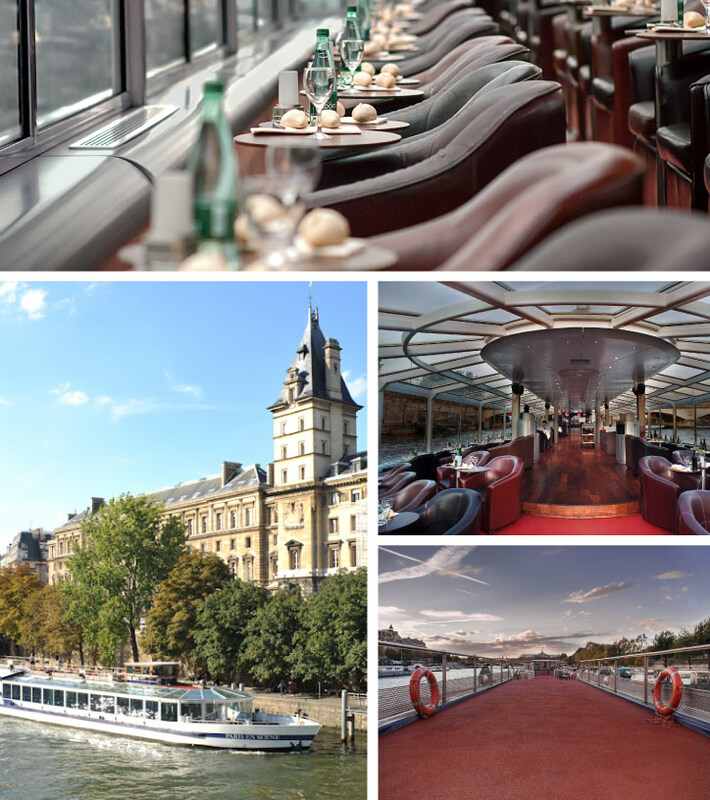 Discover or rediscover the essence of the river Seine in a cruise of approximately 1:15 installed comfortably in a club chair facing the river Seine. During your cruise, enjoy the large air-conditioned lounge as well as the panoramic terrace. Our Chef proposes several formulas based on freshly prepared dishes on site.